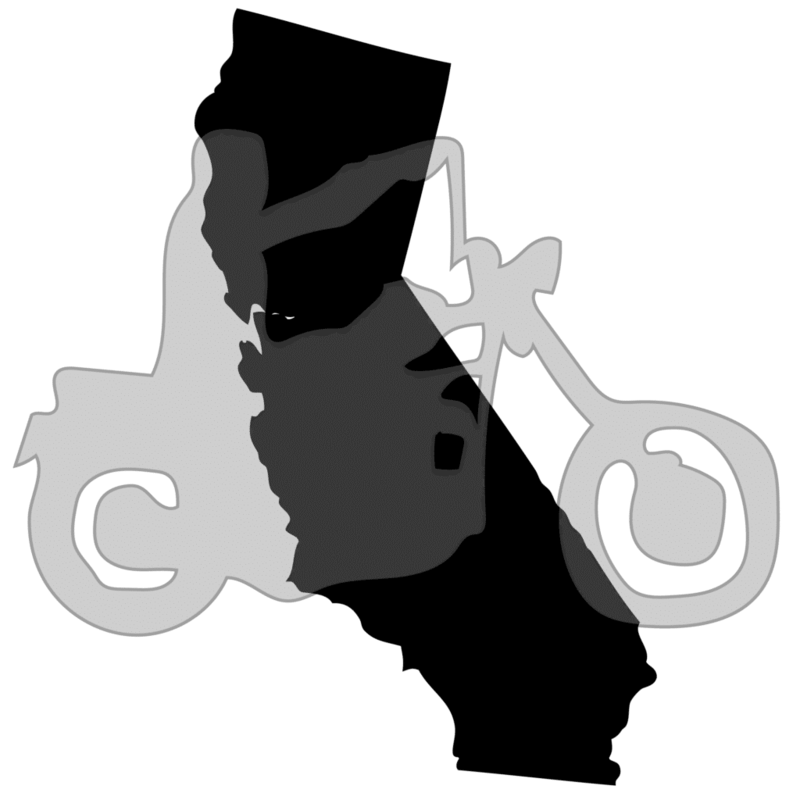 This page will cover the used motorcycle registration and title process in California and provide some tips on how to register if you bought the motorcycle with no title. Does California have an equipment/safety inspection? No, though a safety inspections may be performed randomly. Does California require VIN Inspections for motorcycles bought out of state? Yes, a Verification of Vehicle (REG 31) form will need to be completed by a DMV VIN Checker, law enforcement office, or licensed verifier. Does California require a title for old motorcycles? Yes, all motorcycle are titled in California. Odometer reading is not required for motorcycles more than 10 years old. Transfer fees, registration fees, sales tax. Verification of Vehicle (REG 31) if you bought it out of state. A Bill of Sale if you bought the motorcycle from a different owner than the one on the title. Fill out Application for Duplicate Title if the bike was last titled in CA. Submit with the forms/documents above. Ask the owner to request a duplicate title in their state. Handlebar height maximum of 6” above shoulders. Passenger footrest is carrying a passenger. Daytime headlights required for motorcycles manufactured after 1977. Brakes lights may flash no more than 4 times within 4 seconds. when applying the brakes.